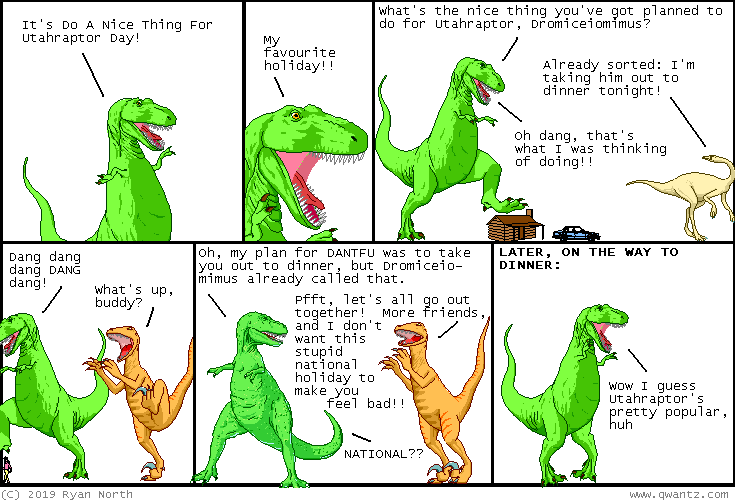 Dinosaur Comics - February 11th, 2019 - awesome fun times! February 11th, 2019: Thank you to everyone who came out to the SF-adjacent events on Saturday! I had a great time, even if one of them was SLIGHTLY chilling.